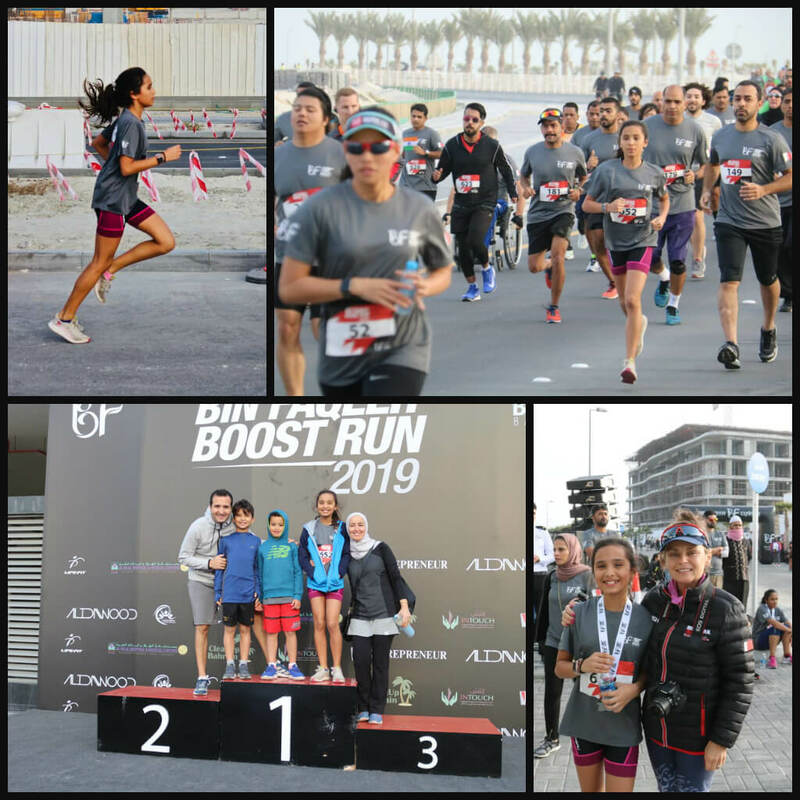 On Friday 25th January, our St Chris Triathlon Club member, Yr 7 student Meyssa Touhami, came ready to take on the adults in the 2nd Boosts Bahrain, Bin Faqeeh Run on Dilmunia Island. Her whole family came to support and cheer her on as she took part in her first ever 5km race. Having only just turned 12 years old two weeks earlier, she was the youngest competitor in the ladies race. Meyssa is a keen member of the Triathlon Club and has been training hard to improve her run and swim times during her Tri training sessions. After a slightly slow start, as over 650 runners had to cross the starting line, Meyssa soon got into her stride and came home in a fantastic time of 27.21 and 7th lady finisher! A superb start to her second term as a member of the triathlon club and we would like to offer huge congratulations from everyone here at St Christoper’s.